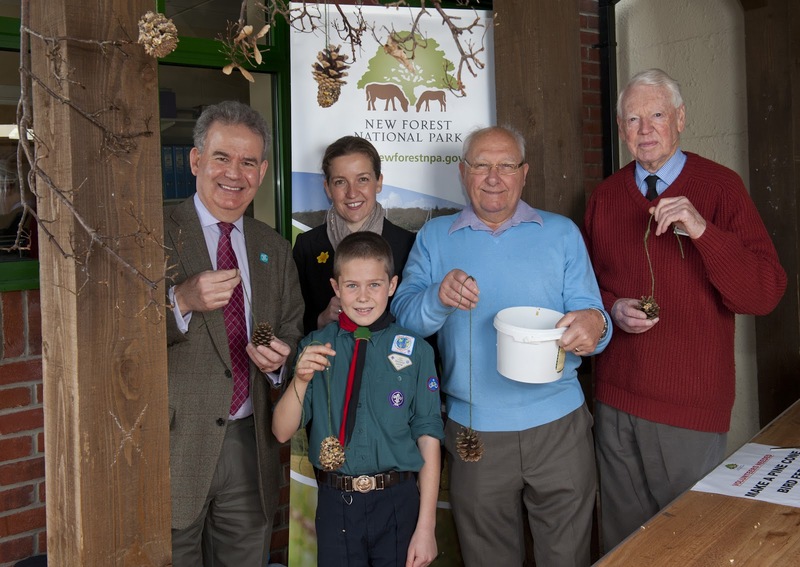 Over 370 people came to find out how they could make a difference in the New Forest at the second annual volunteer. Left to right – Dr Julian Lewis MP New Forest East, Alison Barnes, Chief Executive of the New Forest Park Authority, John Charlesworth, Manager of Lyndhurst Community Centre and Julian Johnson, Chairman of the New Forest National Park Authority with scouts from the New Forest making bird feeders. Around 30 organisations held stalls, demonstrations and talks at the event organised by the New Forest National Park Authority at Lyndhurst Community Centre on Saturday (3 March). People came from around the New Forest and from towns further afield such as Southampton, Romsey and Salisbury, with many saying they wanted to try new skills, meet new people, improve their fitness and give something back to the community.